When it comes to the laundry, what’s good for us adults isn’t necessarily good for babies. Traditional washing machines can leave a lot of harsh detergents, chemicals and dyes behind in clothes, causing irritation to baby’s sensitive skin. What’s a new mom to do? Well, check out the new 0.9 cubic foot Samsung Baby Care Washer, a stand-alone appliance designed to take rinsing and sanitization to the next level. Samsung’s Baby Care Washer offers your choice of up to 5 additional rinse cycles on every load of laundry, allowing you to customize your laundry experience based on the needs of your child. A high-temperature sanitization mode, meanwhile, washes clothes and towels in a steamy 194-degree Fahrenheit cycle, killing 99.9% of germs and bacteria. The washer even has a self-cleaning mode that works with water alone, further reducing the need for cleaning chemicals. To further protect your baby as he or she grows, the washer contains childproof locks and heatproof doors. It also features a soft close lid to keep you from waking baby during naptime. 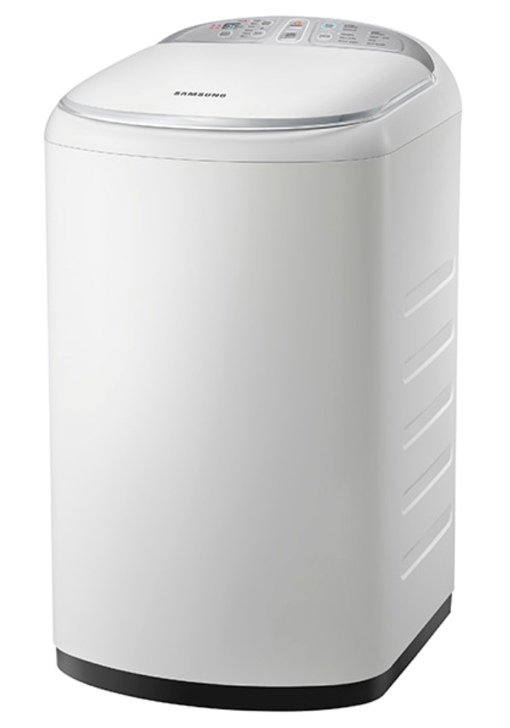 Samsung’s WB09H7300 Baby Care Washer stands 3 feet tall with the top door open, and is available in your choice of white ($499) and platinum ($599) colors. You can find the Samsung Baby Care Washer online at Amazon with free shipping, or in an appliance store near you. For more cool high-tech items for baby, check out the Keurig-like Baby Brezza Formula Pro for one-touch formula bottles and the new vital-monitoring Mimo Onesie.